One of the most expensive systems for the home or commercial building is the central air conditioner. In the Phoenix area, air conditioning is a necessity. Fortunately, new energy efficient options offer comfort without the accompanying monthly expense of the older units. There are several basic styles of air conditioning units available. The options offered have different capabilities and structures. Which unit is most suitable for a building, whether it is commercial or residential, depends on the physical characteristics of the structure. Replacing older units mean the newer, efficient unit could pay for itself. Ductwork carries the cool air from the a/c unit to the other rooms in the building. Ductwork which is installed when a furnace is installed can many times be used to deliver the cool air from the air conditioner. However, an air conditioner is much like a pumping heart; it requires a certain amount of pressure to operate effectively. If the ductwork is large, the air conditioner has to be of an adequate size to deliver cold air throughout the frame of the ductwork. If the unit is too small, it will operate continuously and still fail to cool the whole building. The standard air conditioning unit is usually one of three basic types: a split system, a heat pump, or a split ductless system. A split system is one in which the condenser is outside the building, and the coil and fan are inside the building. Refrigerant-carrying pipes connect the two. A blower forces cool air through the ductwork to fill the building. 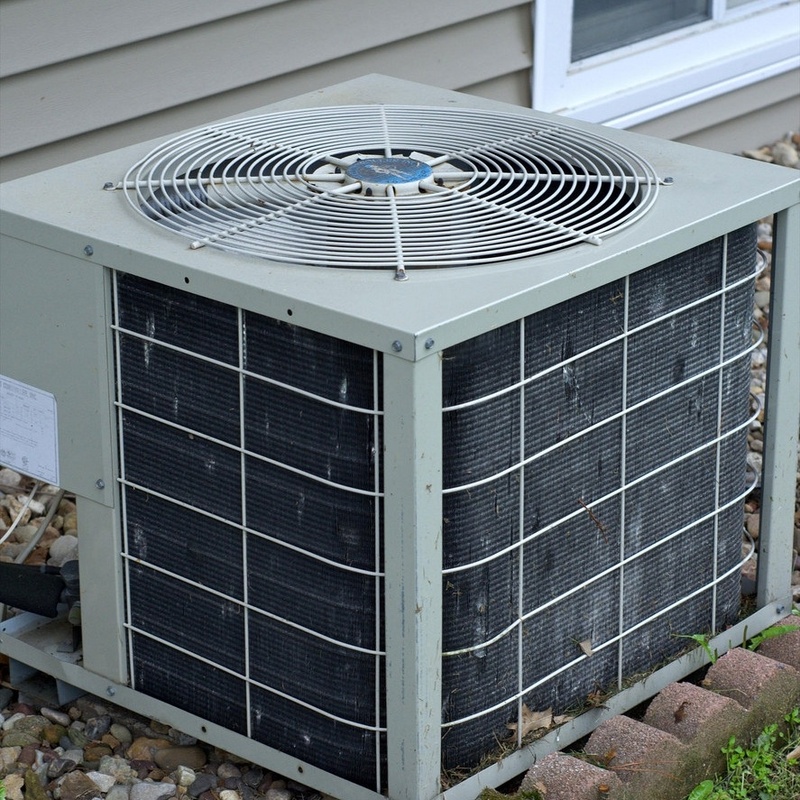 A heat pump is common in areas where the heating and cooling needs are moderate. This system moves heat, so it pumps the warm air out of the building in the summer and warm air out of the house in winter. Whether they collect the heat from air, water, or the ground outside, they all work in this same manner. Newer heat pumps also dehumidify better than other types of air conditioners, so in areas where the humidity is high and the weather is mild, a heat pump offers an energy efficient solution. The size of commercial buildings usually mean an enormous amount of power is required. A rooftop unit (or series of units) not only saves indoor floor space, but also reduces noise exposure and allow for repairs. A commercial system may require a drainage system, as well, since a bigger area will have more condensation than a single pan. In homes where suitable ductwork already exists or is a viable option, a split system or heat pump can be used. Split system--for places without ductwork. If the building doesn’t have the capacity to accommodate ductwork, a split ductless system may be the best solution. The split ductless system has an outside condenser. Tubing runs from the condenser to high-mounted blowers inside the building, which blow the cold air. The size of an air conditioning unit will largely depend on the size of the area to be cooled and the existing ductwork. A good a/c contractor knows the formula for selecting the right size of unit for the area to be cooled. The determining factors to choosing an air conditioning system for a commercial or residential building are determined by the local climate, whether or not there is already a furnace and pre-existing ductwork or viability of installing ductwork, and the local temperature and humidity levels.